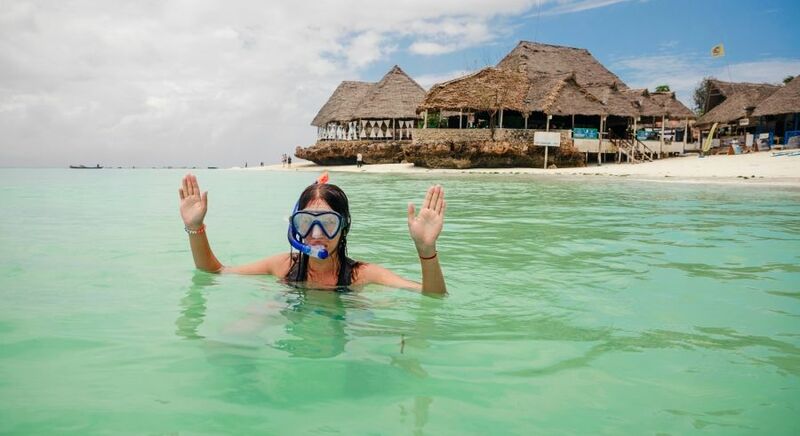 What are the top things to do in Zanzibar? With their strategic location, stunning coastline and warm, tropical climate, the Spice Islands have lured in visitors for centuries. 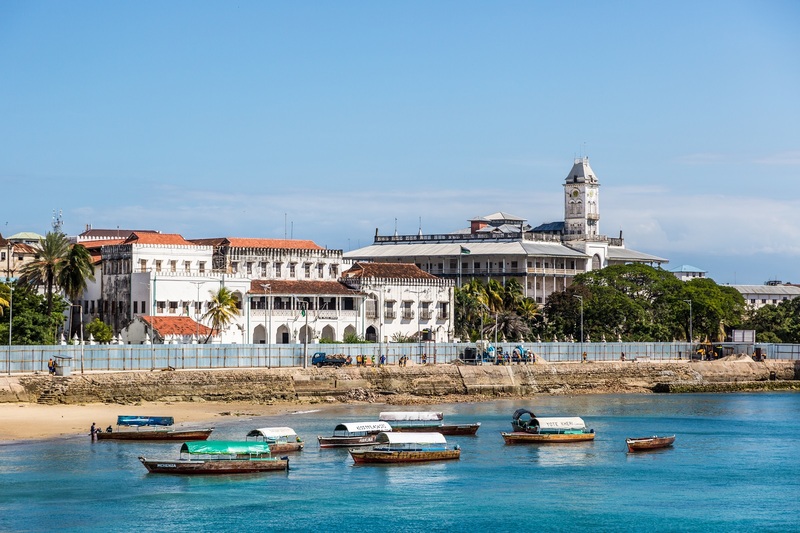 On the one hand, there’s fascinating Stone Town – a UNESCO World Heritage site, it’s narrow alleyways and by lanes have seen a tumultuous history unfold. The beaches of Zanzibar are just as incredible, with pristine light blue waters lapping up on endless white sands, interrupted occasionally by a dhow boat gently cruising by. 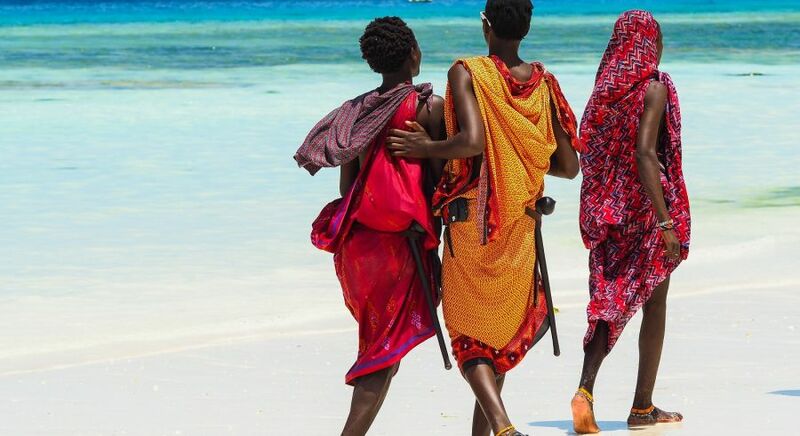 From the northern tip of the islands, lush Jozani Forest, to Stone Town, the hub of trade and history, here is our list of the top things to do in Zanzibar. Find spices and exquisite artifacts at Zanzibar’s famed bazaars, bargaining to your heart’s content! Amble along the historic alleyways, passing by latticed balconies and carved doorways from another era! The Old Fort facing the waterfront, was built by the Arabs in the 17th century when they took the island from the Portuguese. Nearby, the Beit el-Sahel or Sultan Palace Museum was reconstructed from the ruins of Sultan Seyyid Said’s 19th century royal residence and houses many articles used by the royal family. 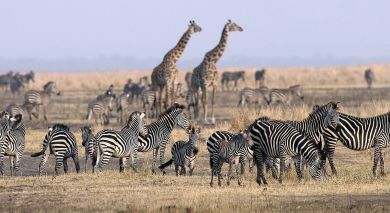 You can also visit the East Africa’s first Anglican Cathedral and the formal Forodhani Gardens. Find spices and exquisite artifacts at Zanzibar’s famed bazaars, bargaining to your heart’s content! Here, culture meets history, as you experience the heritage of Zanzibar as a bustling trading hub through its vibrant, delicious cuisine. 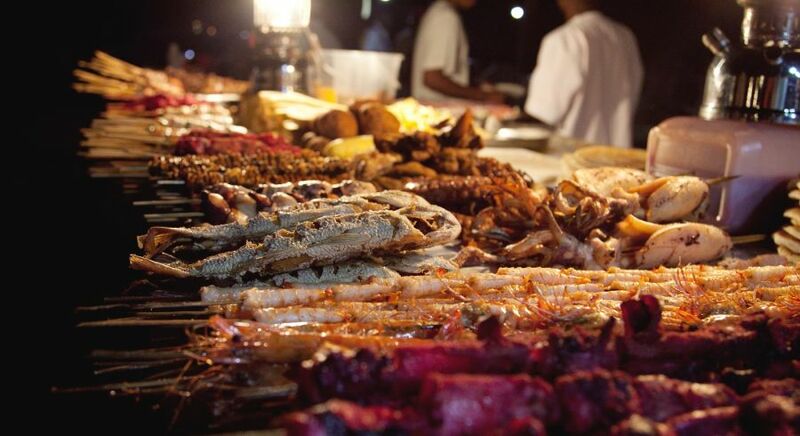 After sunset, the quiet streets at the heart of Stone Town transform into a culinary playground! Chefs set up countless rows of food tables as hundreds of people stream to sample the fare. Expect tables are laden with Zanzibari pizza, huge falafels, sugar cane juice, enormous samosas, coconut bread, fresh seafood skewers and crepes laden with chocolate syrup. Join in the activities, sampling various mouth watering delicacies. Some of the chefs will gladly share inspiring stories behind the creative cuisine. 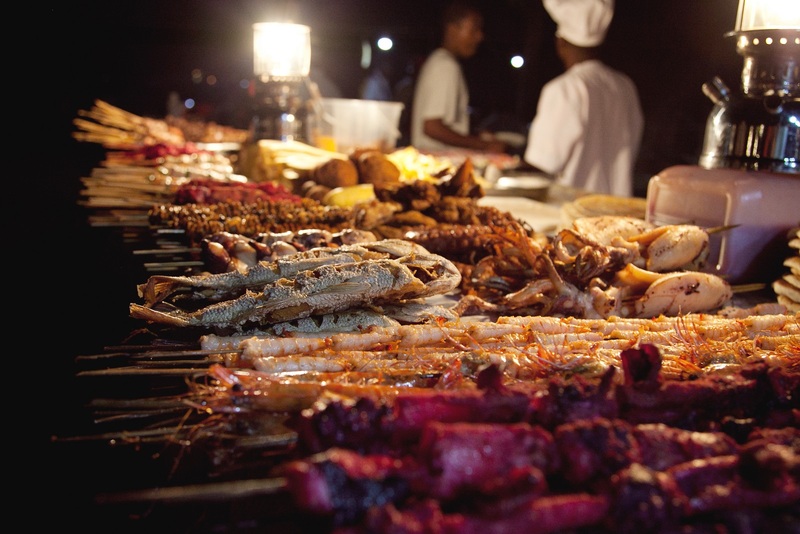 Here, culture meets history, as you experience the heritage of Zanzibar as a bustling trading hub through its vibrant, delicious cuisine. Let your hair down as you relish refreshing sundowners and delicious homemade snacks on the relaxing cruise ride. 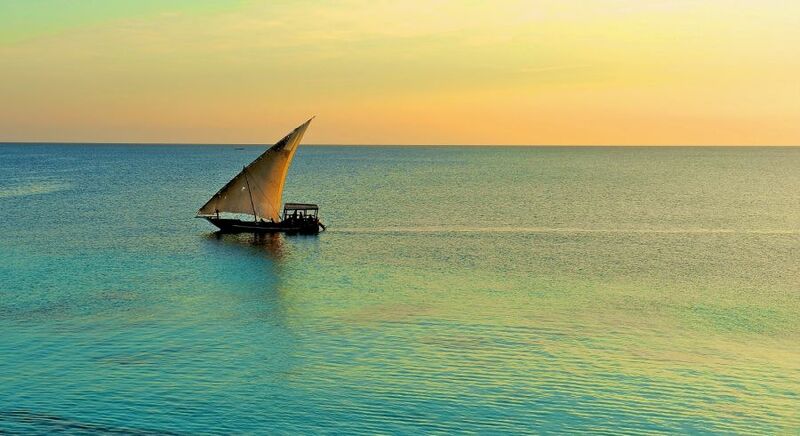 Take dhow boat cruise at sunset, watching the old city float by from your ocean vantage. 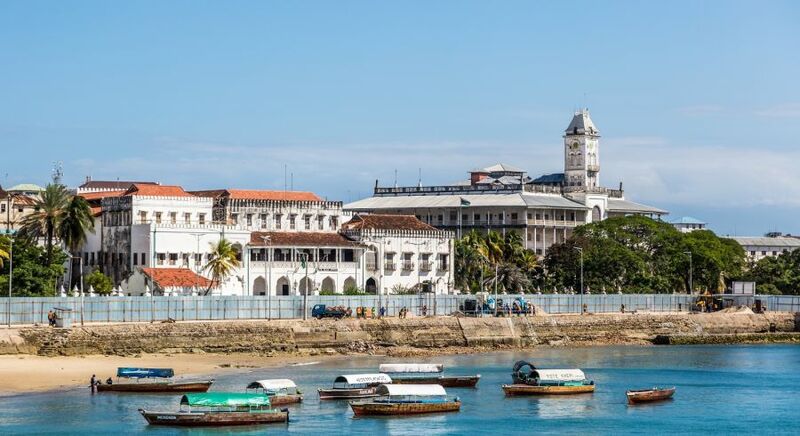 Gradually, Zanzibar and its historic waterfront recede into a distance, leaving the clamor and bustle of Stone Town behind. Witness the golden rays of the setting sun catch the impossibly blue sea and paint a riot of soft shades and blazing colors across the horizon. Let your hair down as you relish refreshing sundowners and delicious homemade snacks on the relaxing cruise ride. 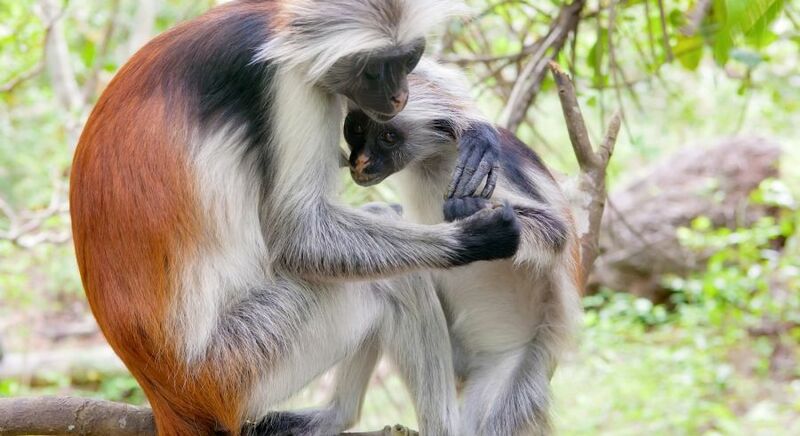 This is where you’ll meet the endangered Red Colobus Monkey, as its the only natural habitat in the world for the species. 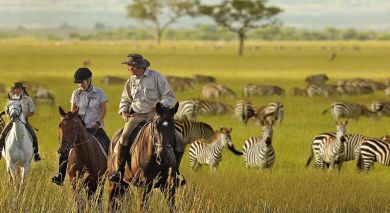 Explore the native forests of Zanzibar Island – Jozani Forest, set in the south of Chwaka Bay. 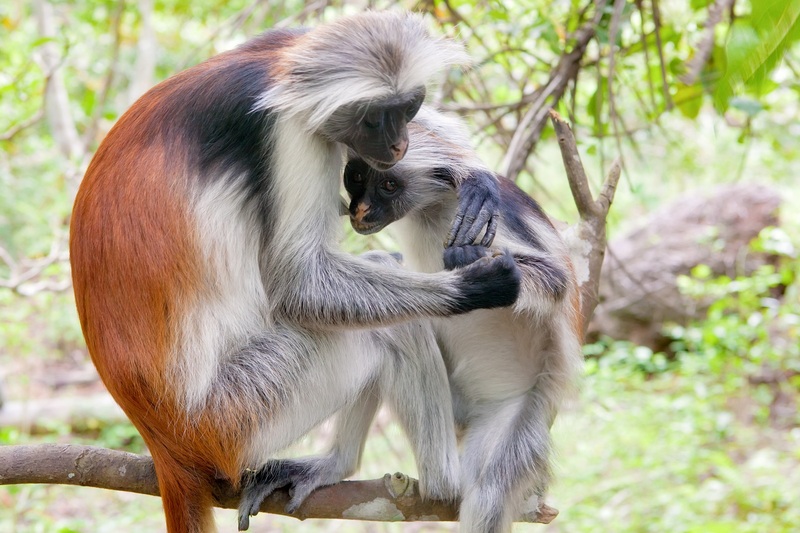 This is where you’ll meet the endangered Red Colobus Monkey, as its the only natural habitat in the world for the species. If you’re an enthusiastic birder, you’ll be amazed by the sheer number of feathered friends at Jozani. Set out on the nature trail and you will see a host of other animals, including other species of monkeys, bushbabies and duikers. There is also a charming boardwalk through the creek side mangrove swamps by the Bay. Meet the community and learn about their culture and traditions, observing their style of clothes and discussing life on the Spice Islands. Set on the northern tip of the island, Nungwi is a bustling village of local Zanzibaris complete with traditional homes, schools, playgrounds and bazaars. Meet the community and learn about their culture and traditions, observing their style of clothes and discussing life on the Spice Islands. As you walk down the lanes, sample delicious tidbits and fresh juice straight from a coconut! You could also visit a beach nearby where traditional dhow boats are built, or a turtle sanctuary near the village. 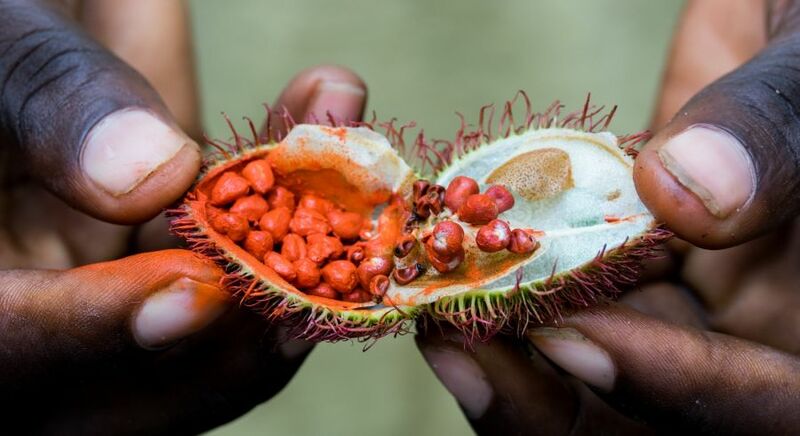 Discover exotic spices and fruits in Zanzibar. 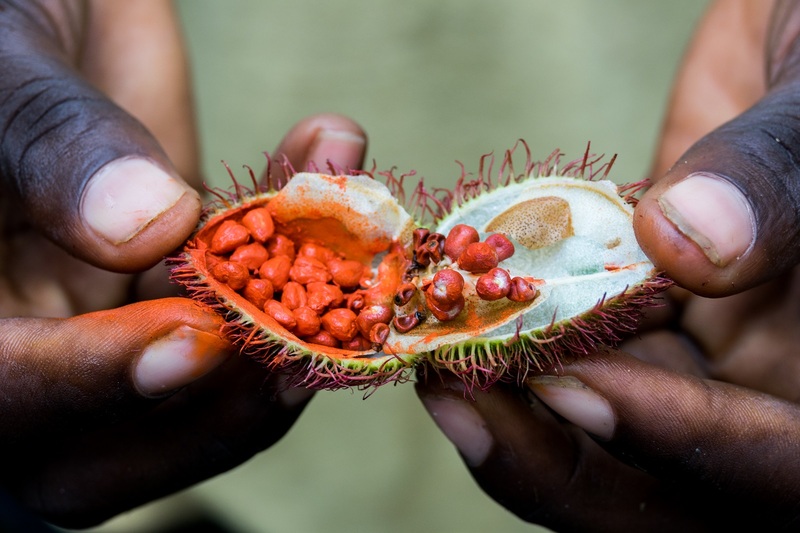 Discover the legendary spices of Zanzibar! Learn about the famous spice trade of this historical island, celebrated in classic verses and romantic literature down the ages. Visit an aromatic distillery to know more about the trade and commerce angle of this traditional business sector. Take home some of your favorites, along with recipe books to help you whip up some of the local delicacies back home! 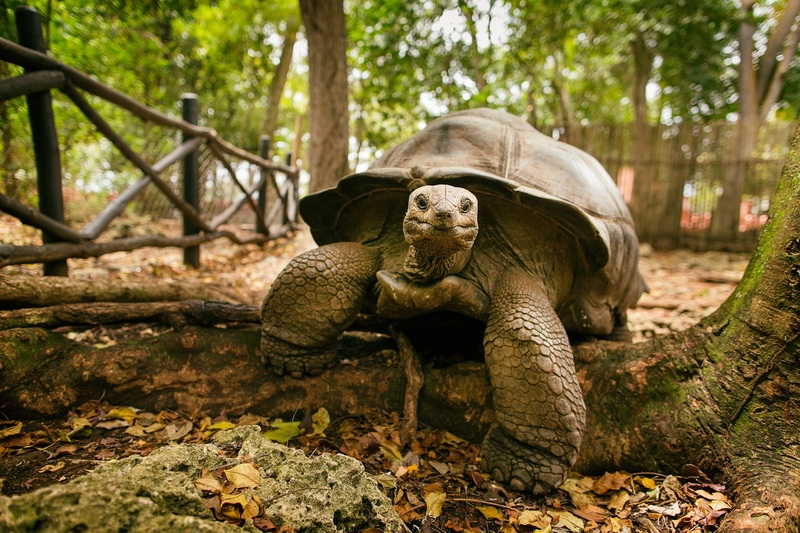 Some of tortoises on Prison Island are more than 100 years old! An Aldabra giant tortoise looks out from its shell on Prison Island. A prison for slaves during the infamous slave trading days of Zanzibar, Changuu or Prison Island, houses an entirely different type of residents these days. 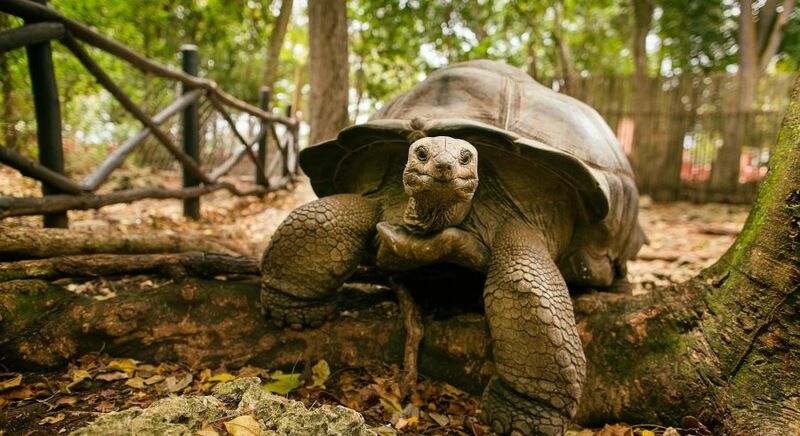 Meet the tranquil tortoises of the island, sent over by the governor of Seychelles in 1919! Although only four in number at that time, the tortoises have thrived in this environment and now, despite poaching in the early 90s, you’ll find more than 17 of the old ones, and more than 90 scampering babies! Spend a few hours walking amid the animals and perhaps petting them too! Later, you can swim around the island, admiring the impossibly beautiful underwater landscape in the company of colorful fish and marine creatures. 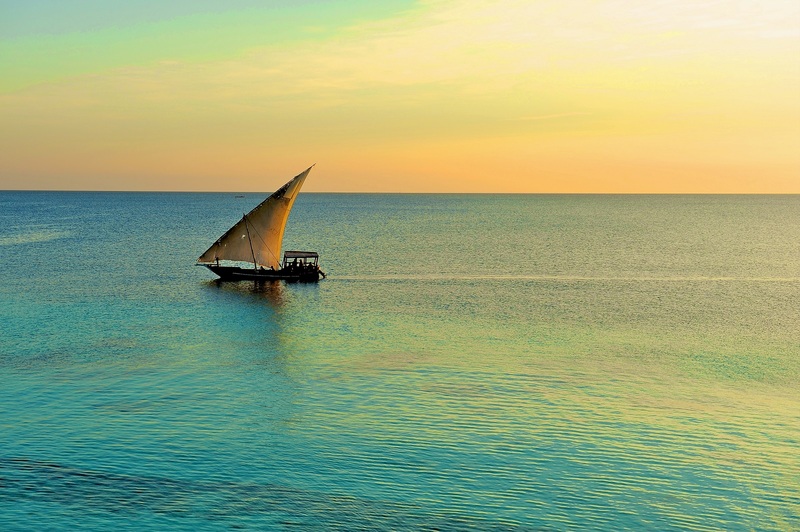 Set sail for the open ocean from Fumba Beach on a traditional, hand-built mahogany dhow. You’ll spot magnificent dolphins diving and cavorting in the ocean’s waters, and snorkel amid the coral reefs by the Island’s ample coastline spotting hundreds of colorful tropical fish. The mangrove lagoon nearby is perfect for leisurely laps under the tropical sun. Later, bask in the warm sunshine with a barbecue lunch served right on the beach. Sun, sand, snorkeling and scrumptious food – it’s the perfect exotic island experience! 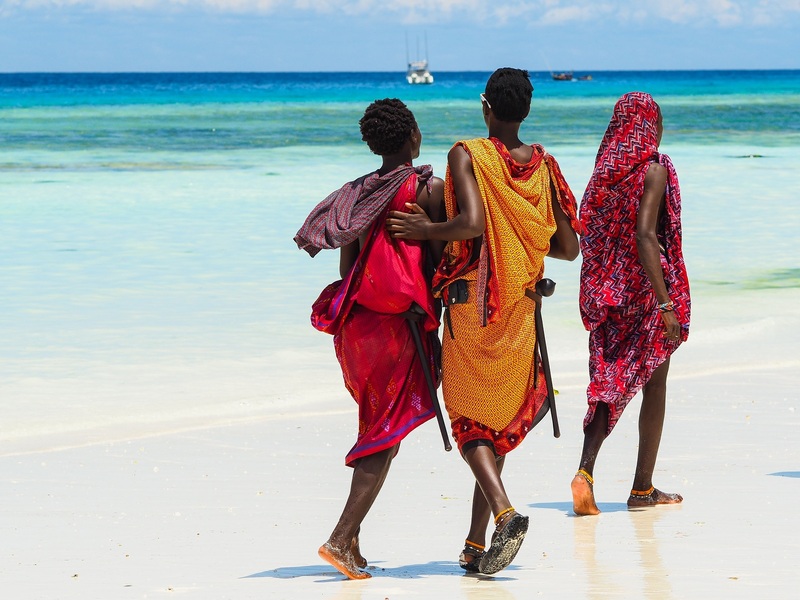 With its colorful history, vibrant mix of cultures, exotic cuisine, markets, farms and breathtaking beaches, Zanzibar is the ideal stop for history buffs and beach lovers alike. Sip delicious sundowners on glorious beaches, stepping out occasionally for a fascinating peek into a cultural melting pot – the Spice Islands are yours to explore! 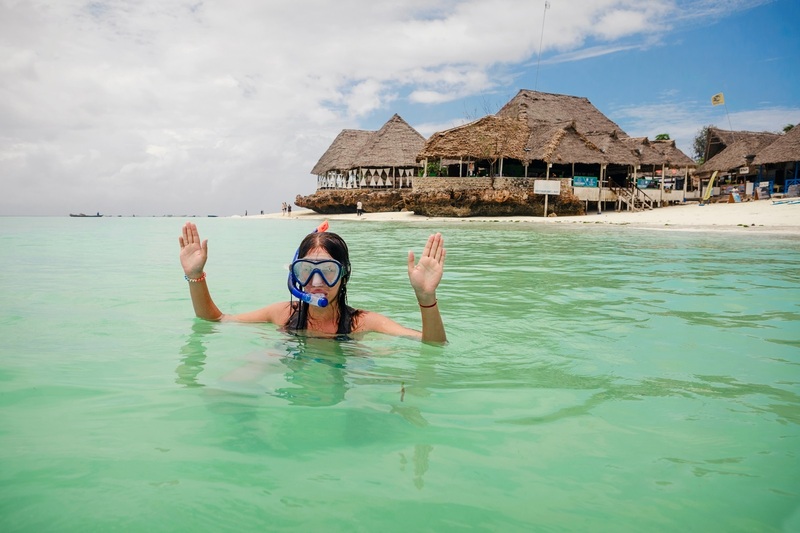 Discover the top things to do in Zanzibar with just a little help from our destination experts. We’ll tailor each experience to your interests and ensure that every experience is safe and completely stress-free. Contact us today and customize your obligation-free tour itinerary!